→Ninja Blender Vs NutriBullet: Which Is A Better Kitchen Blender? Ninja Blender Vs NutriBullet: Which Is A Better Kitchen Blender? Blenders are amongst the staples when talking about kitchen appliances. Aside from letting you prepare ice-blended shakes and vitamin-packed smoothies, it can also be used for other applications, such as when making sauces and chopping ingredients, among others. While this appliance can be beneficial in more ways than one, however, they are not all created the same. From the size to constructions, features to performance, there are many differences. With this, you should be responsible enough to differentiate the possibilities. With the abundance of the brands and models, which one is the best? In this Ninja Blender vs NutriBullet article, I will let you know some of the similarities and differences between the two. In the end, I will let you know which one is the better option. In the table below, I will provide you with a quick look at some features of each of the models we are comparing, making it easy for you to see how they are the same and different. In this section, we will have a quick look at some things that are similar between Ninja Blender and NutriBullet. Although the containers are made from different materials, one is polycarbonate and the other is plastic, it is a good thing that they are both BPA-free. They are made using food-grade materials that won’t be toxic in any way for your health. Unfortunately, these two products only have a warranty that lasts for one year. This means that within such period, if you experience defects, as long as it is not due to your negligence, you can get in touch with the manufacturer. In turn, they will have it repaired or replaced. This is a good thing to have peace of mind, although it would have been better if the warranty is longer. Regardless if you choose Ninja Blender or NutriBullet, there is no need to worry about cleaning and maintenance. The cups and lids can be placed in the dishwasher. Of course, the motor should never be submerged in water. To help you better evaluate these two blenders, below are the key differences between the two blenders that we are comparing in this article. One of the most significant differences between the two is the motor that is integrated into the unit, which will have an effect on its power and performance. In the case of Ninja Blender, the motor has 1,100 watts, which is understandable given its size. After all, it can blend drinks in a larger pitcher good for a small group. In the case of NutriBullet, on the other hand, the motor only has a capacity of 600 watts. For its personal-sized cups, this power should be more than enough. More than the motor, the blade will also have an impact on the power that can be demonstrated by the blender. In this case, the good thing about Nutri Bullet is that it comes with extractor blades. The latter is made specifically for juicing for health purposes. It optimizes yield while also making sure that the beneficial vitamins and minerals will remain. With Ninja Blender, on the other hand, the good thing about its blade is that it has the Total Crushing Technology. This makes it deliver more power. It can easily blend even the toughest ingredients, even ice. 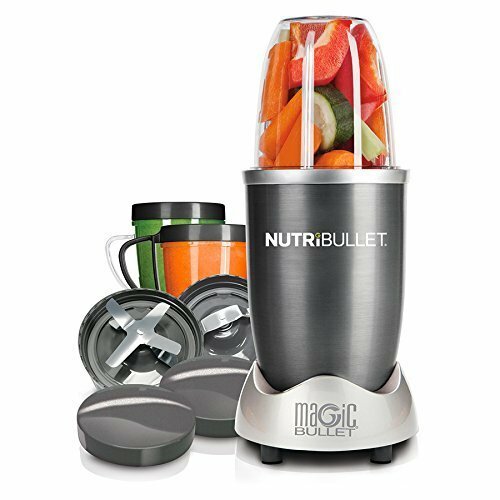 With the NutriBullet, on the other hand, it is not used for ice and can struggle a bit if it will pulverize frozen ingredients. NutriBullet is designed for simplicity. With this, there is a single speed. On the other hand, in the case of Ninja Blender, it is a good thing that you will have more choices. There are three-speed settings and a pulse feature for a quick burst of speed. You will be in complete control with the speed of blending depending on the consistency that is desired. NutriBullet is a bullet blender. This means that you have to place the ingredients in the cup and cover it with the lid. Turn it upside down and lock it on the base. It will automatically start blending. Simply turn the cup and lift it from the base when you are done. There is also a significant difference between the capacity of the two blenders. 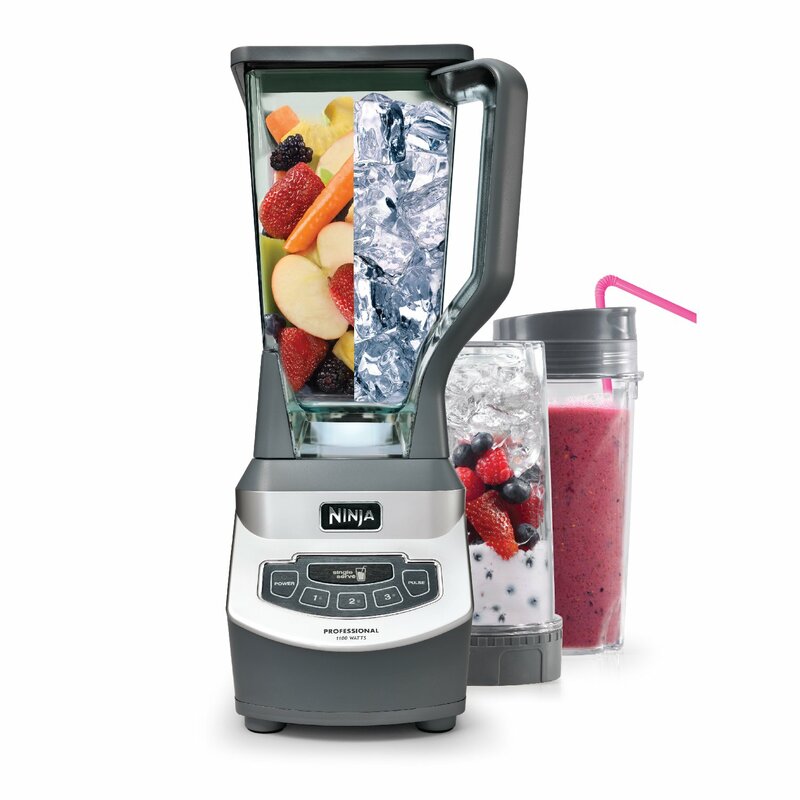 Ninja Blender comes with a 72-ounce pitcher where it will blend the ingredients. This will allow you to deal with more ingredients in one go. This is as against Magic Bullet, which has a pitcher that can only accommodate 24 ounces, at most. If you are looking for efficiency, NutriBullet is what you should choose. It comes with a sleek profile that makes it require minimal space. Whether you leave it on the counter or keep it inside the cabinet, there is no need to worry. When it comes to the blending results, there is one thing that is noticeable between the two. The Ninja Blender delivers smoother blended drinks. The NutriBullet, on the other hand, tends to retain quite some fiber, which is good in terms of its nutritional value. The reasons for these results are because of the more powerful motor that is found in Ninja Blender. Also, as noted, there is a Total Crushing Blade that will efficiently pulverize the ingredients. From the parts and accessories that have been mentioned above, it is apparent that they both have a motor base, although the one from Ninja Blender is bigger, which is pretty much understandable because of its larger pitcher as well. They are also the same in the sense that they already have to-go cups that are included, except that they are different when it comes to size. In the case of Ninja Blender, there are two cups with 16 ounces. On the other hand, in the case of Magic Bullet, one cup is 24 ounces and two are 16 ounces. There are also several differences between the two products that we are comparing. For instance, one that is present in NutriBullet is the pocket nutritionist and the cookbook. This will provide you with a quick guide to the recipes that you can easily follow. For this reason, this can be the perfect choice for any beginner in the kitchen. Another difference from the two is that the Ninja Blender comes with a large pitcher where you can blend more ingredients. This is as against the case of NutriBullet wherein the size of the cups is small and good only for making personal-sized drinks. Now that you are done reading this Ninja Blender vs NutriBullet post, were you able to decide which one is better? As for me, I would recommend that you choose Nutri Blender, especially if budget is not an issue. Ninja Blender is better because of its versatility. You can use the pitcher for blending. Alternatively, you can also opt for the personal-sized cups since there is a blade attachment that is included. It comes with a more powerful motor and better blade. The Total Crushing Technology will make sure that the ingredients will be pulverized. Nutri Ninja 900 Watts Reviews: Should You Buy Nutri Ninja Pro BL450? What Is The Healthiest Type Of Coffee? fruitfulkitchen.org is a participant in the Amazon Services LLC Associates Program, an affiliate advertising program designed to provide a means for sites to earn advertising fees by advertising and linking to Amazon.com. *Amazon and the Amazon logo are trademarks of Amazon.com, Inc., or its affiliates. Additionally, fruitfulkitchen.org participates in various other affiliate programs, and we sometimes get a commission through purchases made through our links. Copyright © 2018 by Fruitful Kitchen.